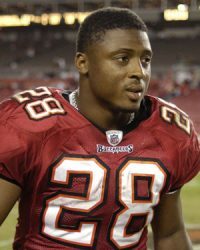 A native of Baton Rouge, LA, Warrick Dunn burst on to the scene in 1993 as a freshman by helping the Florida State Seminoles to a national championship. He would leave FSU after his senior season in 1996, departing as the school’s all-time rushing leader with 3,953 yards – a mark that would stand more than two decades. A first round draft pick of the Tampa Bay Buccaneers, Dunn would go on to play 12 years in the NFL for the Bucs (1997-2001, 2008) and Atlanta Falcons (2002-07). His career includes nearly 15,000 all-purpose yards and 64 career touchdowns. The 1997 NFL Offensive Rookie of the Year, Dunn was selected to three Pro Bowls and was selected the 2004 Walter Payton Man of the Year for community service.